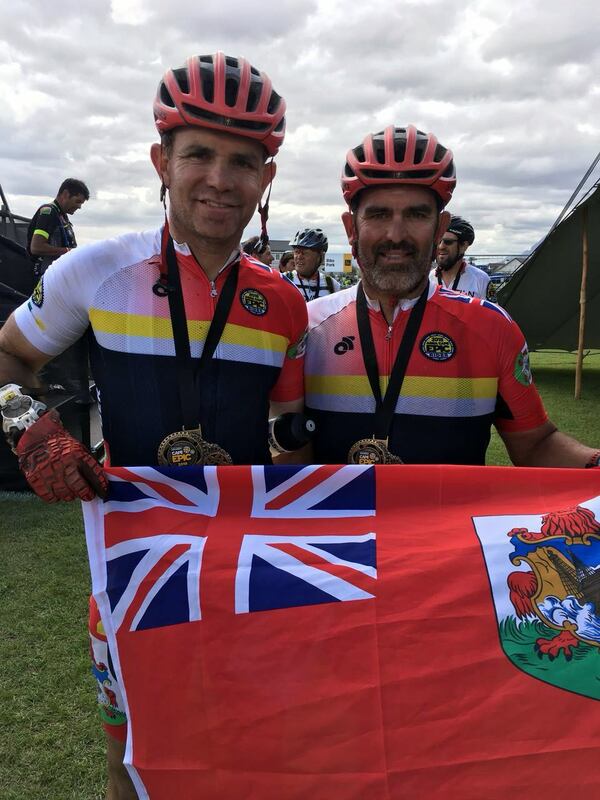 The Cape Epic Mountain Bike Race came to an end in and after 7 Stages the Grand Championships Overall Standings were revealed in Val de Vie, Western Cape, South Africa. Jaroslav Kulhavy from the Czech Republic and Howard Grotts from the USA teamed up to win the event clocking 25:29.48.9. Chris Roque and Dennis Fagundo and Charles Swartz and Revelin Minihane just completed the 8 days, 658km and 13530m of climb. Swartz was competing in this event for a 3rd time but the other 3 were rookies in a field of 564 teams. Swartz and Minihane finished 401st overall with a time of 42:40.59.5, they finished 17:11.10.6 behind the winners, while Bermuda Raceheads Roque and Fagundo finished 508th clocking 46:45.50.5 they finished 18:34.55.3 behind the winners.